Mount this tempered glass shelf alongside your TV. It is the perfect storage place for your Audio/Video components including your DVD player, Cable Box or just a good place to store your remote controls. 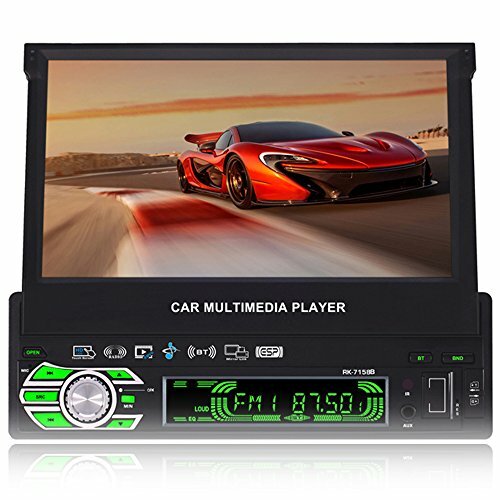 The elegant design will give AV equipment a clean, contemporary look. 100% Brande New and High Quality!>>>Specification: Dimensions: 16.7\"" x 13.7\"" x 9.6\"" (H x W x D) Load Capacity: 17.6 lbs per shelf Color: Black Wall Mount Glass Shelves Durable tempered glass shelves Shelves are height adjustable Pattern: Solid This item comes with two durable tempered glass shelves that can hold up to 17.6 lbs each. Package Content: 2 x Glass 1 x Holder 1 x One Set Installation Accessories >>>Note: Due to the difference between different monitors, the picture may not reflect the actual color of the item. We guarantee the style is the same as shown in the pictures We assure you that our products are extremely cost-effective, user-friendly, eco-friendly in nature. We wish you would have a happy shopping experience with us! Mount this dual tempered glass shelf alongside your TV. It is the perfect storage place for your Audio/Video components including your DVD player, Cable Box or just a good place to store your remote controls. The elegant design will give AV equipment a clean, contemporary look. 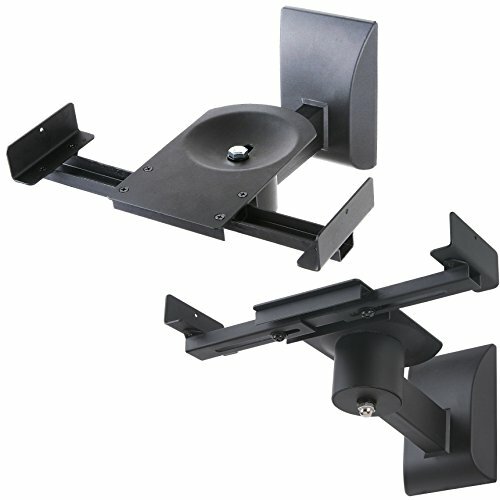 Maximum load capacity Give your components a sturdy and sleek home with the dual shelf wall mount. 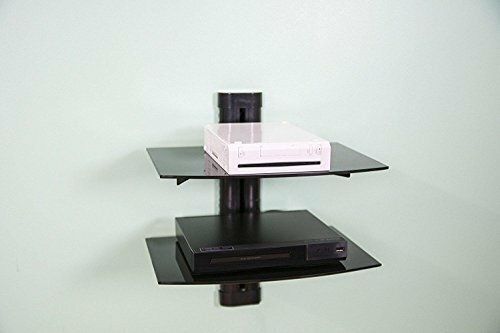 The shelf can hold up to 16.5lbs of components such as a game console, cable box, or Blu-Ray player. Adjustable shelf height Adjustable shelf height ensures that your unit is mounted at the perfect height. 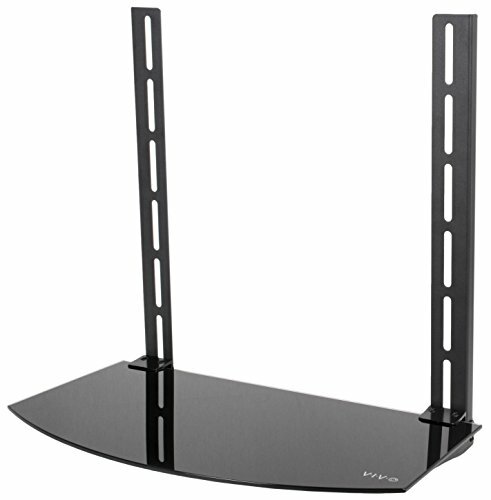 5mm black tempered glass shelves Black tempered glass gives an added touch to your home theater system while providing security and stability when mounting your devices. Make better use of your space Free up your floor space and organize your entertainment center better in your living room, family room, media room, den or office. 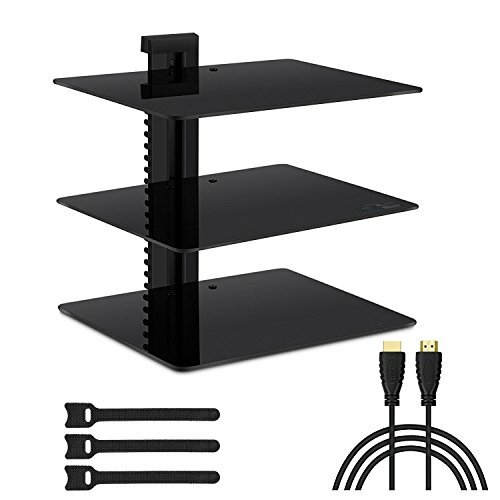 Cable management Perlegear Shelf Wall Mounts allow you to place your Cable Box, Blu-Ray player and all of your other TV necessities close to your TV, all while hiding your cables. Includes a bonus 6 feet HDMI cable and 3 piece cable ties. 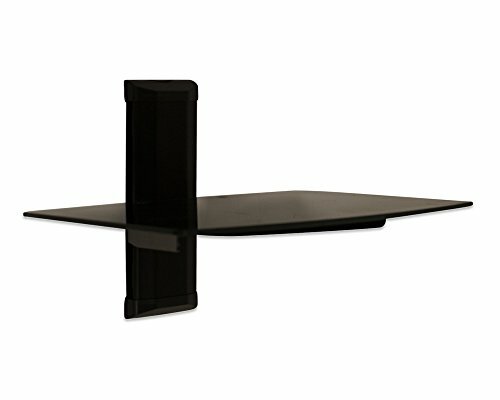 Sleek look The DVD Player Wall Mount is finished with an all-black coating for a sleek look. The streamlined design will give your house some serious cred. Mounting hardware Our hardware kit includes all necessary hardware for concrete walls and single wood stud mounting. LIFETIME WARRANTY Buy now risk free with our LIFETIME warranty guarantee! Size: 15in (W) x 10in(D) x 6in (H) (H: 6" , 7" , 8") - 3 Height adjustments for better ergonomics. 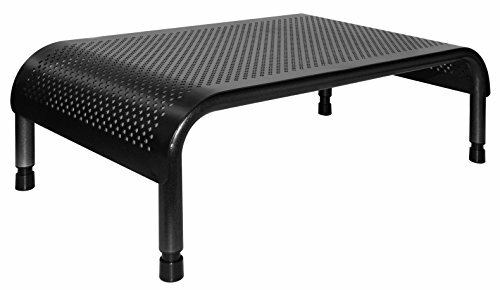 Easy to assemble 3 Height Levels w/ Micro Leg Adjustable Metal console Stand / Bench for Computer PC Monitor, Laptop, TVs. 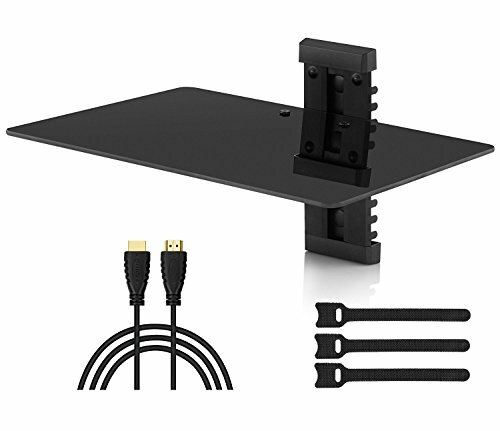 A perfect solution to organize flat panel set up in small places with space underneath for your Laptop, Keyboard, Game system(Xbox, PlayStation etc), DVD player, or Desk supplies. Specifications. Clamp adjusts from 5.4 to 11.7 inches. Supports up to 55 lbs. Suitable for concrete, brick and wood stud walls. Swivels 360 degrees and 15 degrees tilts adjustable [7.5° Up & 7.5° Down]. Heavy duty steel construction with wall plate cover. Easy Install. 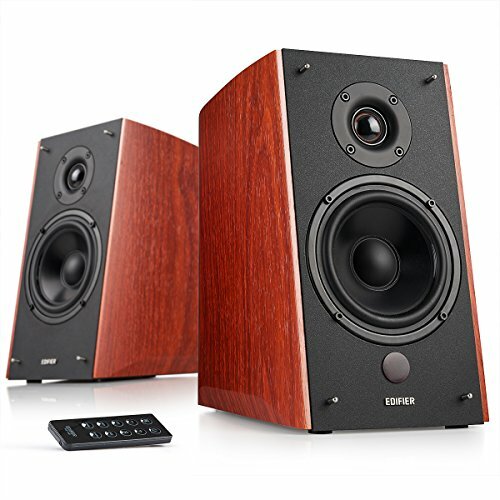 - Included Is: 1 pair of side clamping speaker mounts. Standard mounting hardware and user manual. 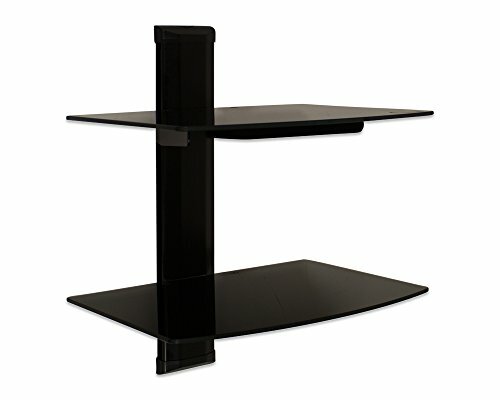 Compare prices on Small Cable Box Shelf Under Tv at ShoppinGent.com – use promo codes and coupons for best offers and deals. Start smart buying with ShoppinGent.com right now and choose your golden price on every purchase.